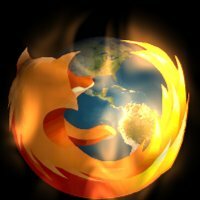 This is my take on firefox logo. It's on fire and the earth turn. I'm very pride of that one. There are a low and a high resolution animated icon, as well as 2 still icons in the file. 3. copy and paste "An animated icon" icon to the folder "Animated Icon"
Enjoy and leave my some comments, thanks. These look very good on the dock. Excellent job, nice clean transition. Thank you for the encouragements, they are always appreciated. I find C:\Program Files\Stardock. So I am not sure if I have to create folder. Can u help me with a little more specifics.